If you own a property outright and want to remortgage, then it’s highly likely you’ll be able to do so with little or no fuss. The risk involved for lenders is quite minimal, so it’s often easier to secure a remortgage on an unencumbered home in comparison with buying a new property. Although an unencumbered remortgage tends to be a simple process, it still isn’t something you should rush into. There’s a multitude of options to consider, such as the new financial commitment of having a mortgage. If you do wish to remortgage your unencumbered home, then you’ll want to be sure that you’re getting the best deal possible. What is an unencumbered remortgage? First things first! Let’s explain what the term ‘unencumbered’ actually means in the mortgage world. An unencumbered property is simply a term used for a property that is mortgage-free. The property must be free of any loans, charges and restrictions. If you’ve paid off your entire mortgage or purchased a property via cash outright, then the property is unencumbered. An unencumbered remortgage is a term used for a remortgage on an ‘unencumbered’ or ‘mortgage-free’ home. Homeowners may look to remortgage an unencumbered property for a number of reasons. You may want to move home, but keep your existing property to rent out. Alternatively, you may simply need a lump sum to carry out home improvements or purchase an investment property. Owning an unencumbered home should allow you access to some great deals. That being said, not every lender will treat this as a remortgage, but instead, as a new purchase. Don’t worry, this shouldn’t affect your mortgage, as the principles are still the same. It’s important however, that you understand the process of unencumbered remortgages before applying. Technically, a remortgage is where an existing mortgage is replaced with a new one. As your home is mortgage-free, lenders can’t ‘remortgage’. The process and procedure works entirely the same for unencumbered homes. Some lenders will still class this as a remortgage and some as a new purchase. Nonetheless, you should have numerous options to choose from in terms of lenders and fees. If you’ve purchased a property outright using cash or have paid off a mortgage already, it shows lenders that you’re financially stable and securing a mortgage should be a smooth process. For tailored advice, you can make an enquiry now or simply call us on 0800 195 0490 to get started. Should I remortgage a house I own outright? If you own your property outright, then from a financial viewpoint, you’re in a strong position. Taking on a mortgage may be financially beneficial, however it all depends on your own circumstances and reasons for doing so. Your reasons for taking on a mortgage. You may want to purchase a buy to let property, carry out home improvements or borrow for a personal gift, such as a new car or holiday. The reason for taking on a mortgage should make financial sense. Your advisor can help you with this. New financial commitment. You currently own a mortgage-free property. Taking on a new mortgage will entail a new financial commitment. Although lenders will assess your affordability, it’s important to understand the new financial outgoing that you’re about to take on. Will you be comfortable making these new payments? Risk. Mortgages all have a risk. Your home is secure, you’ve paid off your mortgage, do you need the additional risk? Failing to keep up with repayments can result in repossession. You may be financially stable, however, it is still something you need to be aware of. Debt. If you’re in a lot of debt, then remortgaging an unencumbered property may not be the best idea. Nonetheless, it does depend on your own circumstances. Remember, you can make an enquiry at any time for a more informed answer to your own situation. If you need to raise capital due to debt, there are specialist remortgages for debt consolidation. Will I qualify for an unencumbered mortgage? Mortgages on properties owned outright are treated the same as any other mortgage. For instance, lenders will carry out standard assessments, such as income, affordability, LTV (Loan to Value) and outstanding debts that you may have. In addition, you may be remortgaging for residential or buy to let purposes. This is yet another variable which lenders will take into consideration. In addition to the above, your employment status will also impact on what deals you’ll qualify for. It really is difficult to list every scenario here, as the variables are endless. Our advisors are available to answer your questions and can search the entire market for the best possible deal available to you. It’s quite common for investors to purchase dilapidated properties for cash, to refurbish and then sell or rent. On the other hand, you may live in a property that would benefit from a refurbishment. Generally, investors only purchase with cash instead of a mortgage for one of three reasons. The deal is time sensitive and they need to exchange contracts quick (auction deals). The property is non-mortgageable as it’s in a state of disrepair. Can resell the property within 6 months (not restricted to the 6 month rule). Buy renovating a property, investors add value and then look to remortgage and release some capital for their next project. If you have access to enough capital to purchase a property outright, then this can apply to you. Buying a property with cash outright would make the property ‘unencumbered’. If you wish to then rent out the property to tenants or move into the home yourself, then a remortgage may be beneficial. Bear in mind, you may have to wait 6 months before you’re able to qualify for a mortgage. 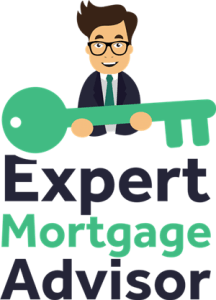 If you need a mortgage sooner, then do get in touch and an advisor can consult a specialist lender to see what they can offer you. If your home has become rundown over the years, then you should still qualify for an unencumbered mortgage. Qualifying for a mortgage on a habitable home is typically straightforward (subject to other criteria). If the property is uninhabitable, then you will struggle, however there are other options to consider, such as refurbishment and bridging finance. Even if your home has a problematic kitchen or bathroom, lenders may deem the property uninhabitable and as a result, will decline to give you a mortgage. If you’re not sure, our advisors are on hand to answer any of your mortgage questions. If you have adverse credit and need a mortgage on an unencumbered home, then it will be difficult, but not impossible! Bad credit certainly limits the options of which lenders you can go to, but there are specialist adverse credit lenders that may consider you. The more recent your adverse credit issues are, then the more difficult mortgages become. Historic adverse credit issues, such as anything over six years ago, should enable you some pretty competitive deals. The type of adverse credit issues will also play a part in whether or not you’ll be accepted for a mortgage. Late payments and defaults are of course less severe then bankruptcy and repossession. Despite the severity, our advisors have secured adverse credit mortgages for borrowers with severe adverse credit, so certainly don’t give up! Further reading: The bad credit mortgage guide. Dealing with an inherited property often results in mixed emotions. It can be a difficult time, however the process of transferring ownership of an estate still needs to be carried out. Inheritance can have complications, such as family disputes or unknown restrictions and charges on an estate. Your solicitor has a legal obligation to represent your best interests during the inheritance process and will make you aware of what you’re legally entitled to do. If you’ve inherited an unencumbered property, you may wish to remortgage the home in the aim of releasing capital. This isn’t always easy to do, as most lenders want ownership to be at least 6 months prior to a remortgage. 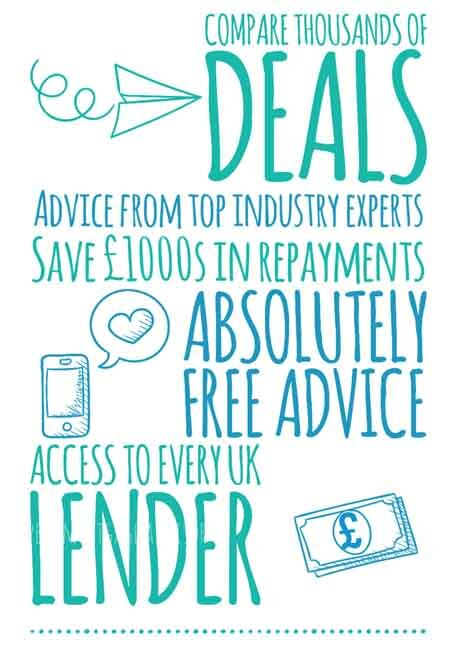 Despite certain restrictions, our advisors are specialists and have access to specialist lenders that will consider circumstances such as these. You can make an enquiry now and an advisor will call you right back.